The following illustrates how we have helped just some of them to meet certification requirements and achieve their business objectives. Tower Transit is a major bus operator in both London UK, and Singapore. It was formed as a spin-off of Australia's leading Transit Systems Group, and has over 20 years of operating experience with tendered government contracts. In London, Tower Transit operates 450 busses and has 1700 staff. It has also been awarded the historical first major contract for tendered bus services in Singapore, and will operate 26 bus routes, with operations commenced there in May 2016. Qudos is proud to have assisted Tower Transit in this tremendous success story. Keith Rogers (Tower Transit Group Compliance Director) said: "Tower Transit engaged with Qudos shortly after commencing operations in London in June 2013. The Qudos3 Management System Software greatly assisted our London business attain ISO9001, ISO14001 and OHSAS18001 within 6 months, and supports our on-going certifications. The management and staff of Qudos - as well as the on-line support/services - are excellent and are very efficient at dealing with requests. We have recently extended our use of Qudos software by implementing the system in our Singapore business to facilitate our ISO certifications for our new operation"
For more information on Tower Transit, please visit the Tower Transit Group Limited or Tower Transit Singapore web sites. Queensland has a wide diversity of waters ranging from upland streams of the Great Divide out to the coastal waters of the Great Barrier Reef. As Queensland continues to be the fastest-growing state in Australia, protecting the quality of the state's waters in the face of such growth is a major priority for the Queensland Government. Much of the responsibility rests with DES (Department of Environment and Science) - which is committed to adopting and promoting modern and effective management techniques to minimise harm to the environment. Qudos is proud to have had a long association with many key business units within DES and its predecessor departments. The Water Planning Ecology group employs a team of professionals with expertise in R&D in the fields of water ecology, water chemistry, ecotoxicology, geomorphology, biostatistical analysis and modelling. This team provides knowledge and advice to help better understand and improve the management of Queensland’s rivers, streams and wetlands. The Water Planning Ecology group has successfully achieved and maintained certification of its Quality Management System to ISO 9001:2008 by Sci-Qual International. Qudos has supported that achievement with our Qudos 3 software and Internal Auditor Training services. Quality Officer, Farah Zavahir states “Qudos 3 has complemented these systems efficiently. Our employees have benefited from the implementation of Qudos 3 and rely on it as a ‘one-stop-shop’ for accessing the most up-to-date scientific and administrative documents for their work needs – from staff induction to preparing for fieldwork to capturing training records. Qudos 3 is an integral part of our work processes and enables us to provide quality science through continual improvement of our business activities”. For more information on the department's activities, why not visit the Queensland Government DES web site. SciQual International Pty Ltd is an accredited third party certifying body offering certification of management systems against Quality, Environment, Occupational Health & Safety, Information Security and Food Safety standards. SciQual was the first certification body accredited by JAS-ANZ (Joint Accredited System in Australia and New Zealand) for Quality Management Services. To achieve customer confidence in the quality of service offered, SciQual's own quality system has been implemented to ISO/IEC 17021 and ISO 17065 - which embrace all the processes needed to provide an effective service. As you might expect, sound management of internal systems is critical to a certification body - which is why SciQual turned to Qudos 3 to efficiently operate its own quality management system. Austral Bricks has a proud history of brick-making spanning over 100 years. Just as clay bricks helped to build the new colony in 1788, creating the first manufacturing industry, Austral Bricks has led the industry into the 21st century. Austral Bricks are transforming the humble brick into a versatile and creative design material. The company’s contemporary brick products are all about style, combining form and function in an extensive range of colours, shapes and textures. With a commitment to research and development, and outstanding technical support, Austral Bricks are Australia’s favourite manufacturer of Bricks, Pavers, and Façade products. Austral Bricks in Western Australia has selected Qudos 3 software as a fundamental part of a more effective and efficient Business Management that reflects the changing corporate and legislative requirements within the manufacturing and extractive industries workplaces. Dennis Johnstone, Quality & Compliance Manager WA had this to say: “The Qudos management system has been successfully implemented at various sites within Western Australia. The employees who use the system are extremely happy with the ease of operation and what can be uploaded”. Valvoline is a leading supplier of automotive lubricants to the Australian market for over 100 years. Since the 1960's, Valvoline has been manufacturing a large range of quality lubricants in Australia. Products are distributed across the country to thousands of workshops, dealerships and industrial customers as well as sold through numerous supermarket and mass merchant chains. Valvoline markets its products to the DIY (Do It Yourself), DIFM (Do It For Me) and commercial and Industrial customers. Valvoline is a globally recognised lubricant brand trusted by many as having high performing quality products. Valvoline's manufacturing site at Wetherill Park has been ISO 9001 certified since the early 1990's with its laboratory separately NATA accredited for lubricant testing. Valvoline chose Qudos 3 software to help manage its quality, occupational health and safety and environmental management systems in a one-stop shop approach. Valvoline is moving away from a demanding paper based system to an intuitive software management system allowing access across the network from any one of its locations. Atlantis, Palm Jumeirah, Dubai is a 1,539 room, entertainment destination resort located at the centre of the crescent of the man-made island in Dubai. Transporting guests into a dazzling, imaginative world, the resort encompasses a 46 hectare beachfront site with 17 hectares of water themed amusement at AQUAVENTURE, extensive fresh and salt-water pools and lagoon exhibits, an open-aired marine habitat second only to Mother Nature with over 65,000 marine animals including The Lost Chambers, a maze of underwater corridors and passageways providing a journey through ancient Atlantis. Atlantis will offer an unprecedented entertainment centre with an impressive collection of luxury boutiques, numerous dining experiences including four restaurants with renowned world-class chefs including Nobu, Giorgio Locatelli, Santi Santamaria and Michel Rostang, an exciting nightclub, a Spa and Fitness Club, and 5,600m² of meeting and function space. Atlantis, Palm Jumeirah uses Qudos 3 software for its OHS and Food Safety management system. Simtars (safety in mines testing and research station) is a business unit of the Queensland Government Department of Natural Resources and Mines and has been operational since 1986. Simtars’ mission is to prevent disasters, fatalities and occupational disease in the mining and allied industries through research, technical services, training, testing and certification. Simtars’ main office, laboratories and testing facilities are located at Redbank, west of Brisbane, and it also has a regional office in Mackay. It employs approximately 90 staff. Simtars holds certification to ISO 9001 Quality Management systems, ISO 4801 Occupational Health and Safety Management systems and ISO 14001 Environmental Management systems. Simtars holds NATA accreditation and has an accredited certification body for explosion protected equipment certification. "Simtars has been using Qudos 3 to assist in the maintenance and improvement of its management systems for over a year. The document management function has given Simtars complete control over all documentation, using the corrective actions database has enabled us to better identify, escalate and flag issues in real time, this along with the statistical information Qudos 3 provides will allow for the continual improvement of our integrated management system into the future". John Benson, Compliance and Management Systems Advisor. "QUDOS3 has provided our organisation with a “one stop shop” for all things Quality related. In particular, the Document Management module has been invaluable for secure and accessible access to our documentation. The fact our staff can access forms, templates and policies anywhere, and at any time, is a huge bonus with a remote workforce. QUDOS3 staff are friendly, helpful and timely with their responses – nothing is ever too much trouble. QUDOS3 provides a number of tools, videos and other resources to help us navigate the system with ease. We were looking for a system that was adaptable, accessible and met multiple quality management functions – and we found it in QUDOS3!" Clio Thiris, Quality Manager. GOC Care. TAG (Transit Australia Group) is the largest privately owned public transport company in Queensland - delivering quality transport products and services to government, industry and the communities of the Gold Coast, Tweed Shire, Sunshine Coast, Rockhampton, Townsville, Magnetic Island and Cairns. TAG was established in 2008 with a goal to introduce best practice benchmarks to iconic bus operations: Surfside Buslines; Gold Coast Shuttle, Sunbus and award-winning bus manufacturing arm, Bustech. The group employs and heavily invests in the training of 1,300 staff, owns and maintains a fleet of over 600 vehicles, carries more than 30 million passengers over 36 million kilometres each year, and delivers over 30,000 public transport services a week in Australia’s premier tourist destinations. TAG has chosen Qudos 3 software to operate its integrated management system. The Spinal Injuries Association is dedicated to enhancing the lives of people with a spinal cord injury throughout Queensland. Formed in 1960, the not-for-profit organisation provides a diverse range of quality services and support to its members, ranging from personal care, peer support and employment assistance to health advice, support groups, training, the loan of equipment, an information service and advocacy. The Association has offices in Brisbane and Townsville with representation in most major towns in the state. On average, 90 people each year sustain a spinal cord injury in Queensland and the Association is dedicated to reducing this statistic with its injury prevention program (the Spinal Education Awareness Team) that has spoken to more than 1.12 million children in the past 20 years. The team of volunteers, who all have paraplegia or quadriplegia, share information and insight into life with a spinal cord injury and in 2007, spoke to more than 60,000 students at primary and secondary schools around Queensland. The Spinal Injuries Association uses Qudos 3 software for the operation of its quality management system. The company has been certified to ISO 9001 for its quality management system by IHCAC. We belive Medilaw to be the first organisation of its kind in Australia to achieve certification, and are delighted to have been involved in the process. The system utilised our 'Process Planning' concept, and certification was achieved within 6 months of commencement. 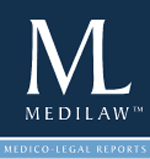 "The comprehensive, fit for purpose Qudos 3 is our software of choice to administer the business quality management system at Medilaw. We also engage Qudos consultants on a regular basis to assist with maintaining our ISO 9001 certification. We have found that the management and staff of Qudos are excellent communicators. They are helpful, polite and prompt in their responses; they are leaders in their field." Situated 1,359 kilometres north of Brisbane, the Port of Townsville provides north Queensland with an essential gateway for commerce and trade. It continues to be one of the State’s fastest growing Ports, and services the north east and north west minerals provinces of north Queensland. The local resources sector represents approximately 50% of Townsville’s exports and 75% of imports, with these figures forecast to grow significantly over the coming years. Amanda Cox, Database Administrator at the Port of Townsville had this to say: "Qudos 3 is an invaluable tool that enables management to obtain an overall view of compliance requirements; and will continue to allow the Port of Townsville to maintain their accreditation now and into the foreseeable future." Qudos has also provided Internal Auditor Training and professional internal audit services for the port, and continues to provide on-going consultancy services. 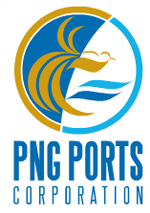 PNG Ports Corporation Ltd is responsible for the control and management of all sea ports that come under its jurisdiction in Papua New Guinea. The port network consists of 16 operational ports throughout PNG that handle in excess over 5.8 million tonnes of cargo each year and provide Port and Pilotage services to the shipping industry. It is a fully corporatised entity owned by the state. Port Moresby Port and Head Office are Certified to ISO 14001 (EMS), OHSAS 18001 and AS/NZS 4801 (OHSAS) by International Certifications. Qudos has provided the Corporation with Qudos 3 software for the effective and efficient operation of its management system. In addition, we have provided Software training, Business Process Improvement Training, and Internal Auditor Training. YFS or Youth and Family Service (Logan City) Inc is a community based, not-for-profit organisation, providing responsive and creative social welfare services to people in Logan City and surrounding areas. Operating from two main sites and a number of outreach locations. YFS works with everyone in Logan City including children and young people, families, adult men and women, young mothers and young men, older people, people with a disability, people from diverse cultures and backgrounds. YFS works with people to build their livelihoods and sustain their emotional, social, physical and spiritual wellbeing. YFS operates a quality management system that is certified to AS/ NZS ISO 9001 by DNV (Det Norsk Veritas). Quality accreditations are also maintained to DSQ, HACC and various other standards. The YFS quality management system is based on the use of Qudos 3 software. Qudos has also provided Internal Auditor Training courses for YFS personnel. Christine Allison, YFS Service Manager, states: "The Qudos System has had a two-fold benefit for YFS; it allows us to monitor and maintain our quality system with a minimum of fuss and has been educative with staff gaining an improved understanding of the theory and practice of quality management". Jaws is Australia's leading specialised manufacturer of attachments for the Mining, Construction, Earthmoving, Quarrying and Materials Handling Industries. Founded in 1970, Jaws today employs over 140 highly skilled personnel in over 10,000 m2 of undercover factory featuring the most modern fabrication technology available. Jaws has ISO 9001 certification by SGS, and the company believes that its reputation for providing a quality product is enhanced with this quality endorsement. Previously, Policies, Procedures and Work Instructions were housed on an internal network, without the most convenient access for sales, service, and regional staff. This was also coupled with an electronic improvement register that was not as effective as desired. Mindful of the need to improve its systems, Jaws reviewed several software packages and determined that the application that best suited its Quality, OHS and Environmental Management System needs was Qudos 3. Quality/Safety Manager Adam France states; "The Qudos3 system meets our current and future electronic quality system goals, by way of an Internet connectable software package for our sales and service teams providing them up to date current information while out in the field, and an Intranet environment for our production site. The system provides further support by offering increased security, flexibility, accessibility, and a corrective and preventive actions register. This system we believe will supply all the characteristics needed to assist Jaws Buckets & Attachments in maintaining our current certification, and improving our overall management system"
May Asphalt Group provides various types of services to the asphalt industry, from the removal of asphalt, to asphalt paving to consulting, to plant/labor hire. Works preformed are from Asphalt Paving/Overlays, Profiling/Edge Planing, Re-instatements Works, Crack Sealing to various road ways. May Asphalt Group is a family owned and operated company, which has been in business for over 25 years. "We engaged with Qudos to assist in the implementation of an Integrated Management System to assist in obtaining ISO9001, ISO14001 and AS/NZS4801 certification. The management team and online support team are very efficient in dealing with all requests. We found everyone helpful, polite and prompt in their responses. Within 6 months of running the Qudos 3 software May Asphalt Group had achieved certification, the software will help ensure all on-going certifications are achieved. Our employees who use the Qudos 3 system have found it an extremely effective and efficient system with a user-friendly layout. From conducting Audits to raising Actions and uploading of information – The perfect system!" Organising safe, efficient transport of goods is always a challenge - but PPG (Project Professionals Group) has the answer. PPG is one of the largest dedicated project forwarding companies in the world with over 140 member offices in 95 countries worldwide - and growing! PPG has the expertise to provide you with fully integrated logistics solutions. PPG is as an Affiliate Member of SmartWay, the United States Environmental Protection Agency. PPG members will constantly strive to explore eco-friendly transport solutions and other initiatives that increase energy efficiency while significantly reducing greenhouse gases and air pollutants. PPG has used Quality Manager Software to develop its Quality Management System quickly and easily. Qudos has also provided management consultancy services to help further develop the system. ISO 9001 certification with SAI Global is currently in progress. General Manager, Kevin Stephens states: "The Quality Manager software has saved us a month or more of work". Evoqua Water Technologies Pty Ltd was established on 16th Jan’14 after divestment from Siemens to AEA. ISO9001, ISO14001 and AS4801 certification from Global Mark was required to implement an integrated management system as main source and repository for policies, procedures, work instructions and templates. Furthermore to also provide an access point for all employees to report hazards, incidents, non-conformances and bright ideas. "The Qudos 3 People and Training modules offered a much improved process for our HR team. Capture of audit information with assigned action follow up ensures to have a closed loop. Our steering committee reviewed available systems in the market that would best suit our requirements and objectives. Selecting and implementing Qudos3 has been a valuable choice which was also appreciated and well received by the auditors during the recent external surveillance audit. The support and engagement from the supplier has been excellent and we can highly recommend this package and their service offering."